A village is a clustered human settlement or community, larger than a hamlet with the population ranging from a few hundred to a few thousand. The villages may not only differ depending on the type of people and culture but also differ with the kind of place in which it's situated. One of such rarely found villages is the villages that is surrounded by water bodies. 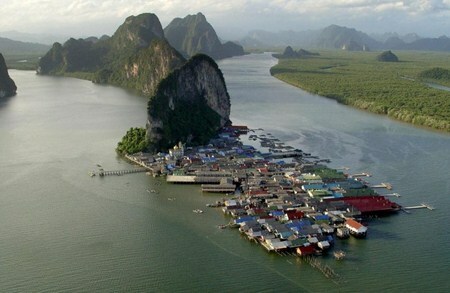 Ko Panyi is a fishing village in Phang Nga Province, Thailand notable for being built on stilts by Indonesian fishermen. The population consists of roughly 200 families or between 1,500 and 2,000 people descended from 2 seafaring Muslim families from Java. The village has a Muslim school which is attended by both males and females in the mornings. Despite the recent rise in tourism, life in Ko Panyi is still primarily based around the fishing industry as tourists only visit in significant numbers during the dry season. The village includes a floating soccer field. Inspired by the 1986 FIFA World Cup, children built the pitch from old scraps of wood and fishing rafts. 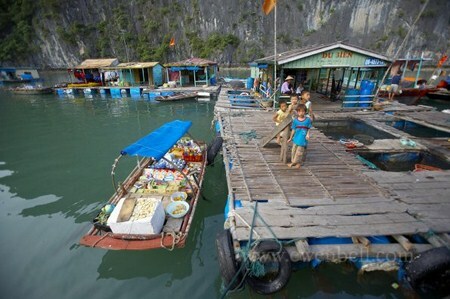 A village of about 600 inhabitants built on the water can be found in Halong Bay. It is a magically calm place, an escape from the hustle of Vietnam streets. The village is a true waterworld, rising and falling with the tides, sheltered amidst limestone towers. Locals live mainly from the sea. 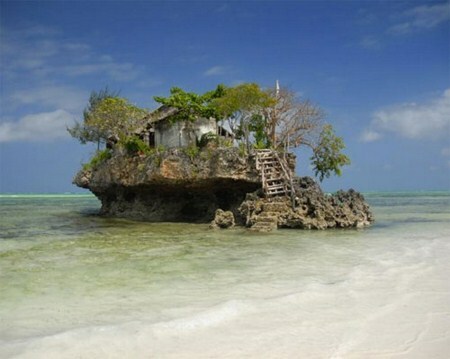 Most of the rock islands in the area are too poor to be cultivated. Halong Bay is very rich in fish and sea food. 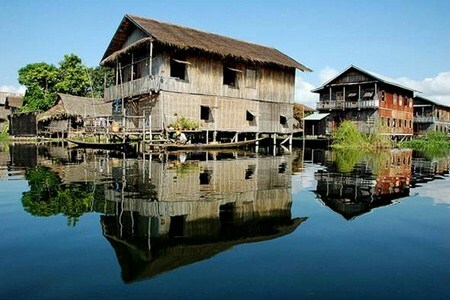 In this picture you can see some floating houses. Locals live in these houses and every morning they go fishing. They sell their catches to bigger boats, that bring the fresh fish to markets in the continent. 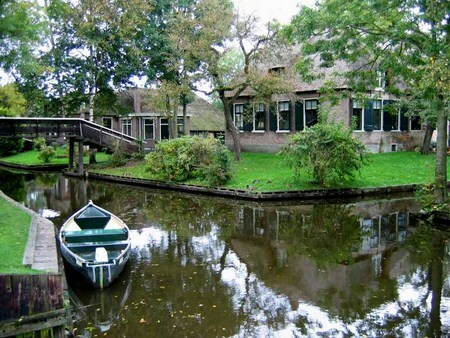 Giethoorn is a village in the Dutch province of Overijssel. 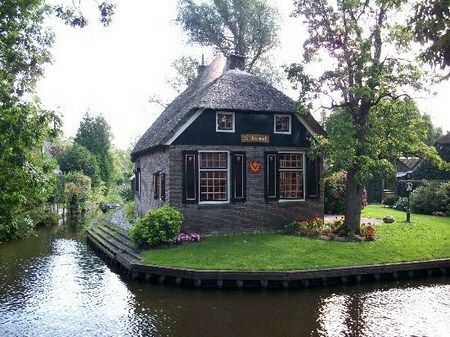 This village is called the Venice of the Netherlands for about 7.5 km (4.5 mi) of canals run through the little village. It was founded around 1230 when fugitives coming from the Mediterranian regions settled there. All traffic has to go over the water, and it is done in so-called "punters", they are 'whisper-boats' for they are driven by an electric motor, so they practically do not disturb the peace and quiet in this scenic little village. 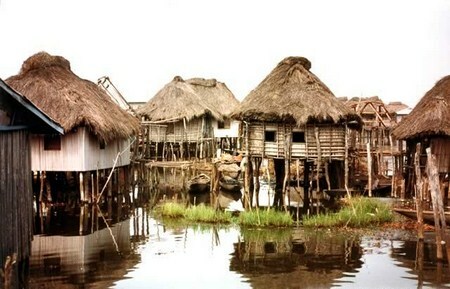 Many houses have been built on islands and they can only be reached by the wooden bridges. Some 50 little wooden bridges span the canals, which are only 1 meter (3 ft) deep. Giethoorn has 2620 inhabitants. 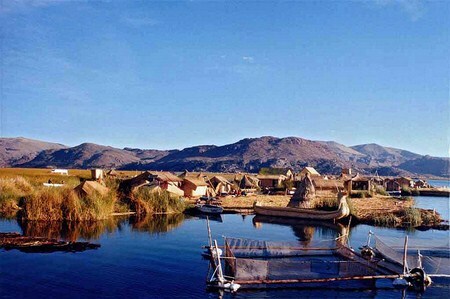 The Uros are a pre-Incan people who live on forty-two self-fashioned floating islands in Lake Titicaca, Peru. These islands are hand-made from a native species of reed (totora) that abounds in the shallows of the lake. 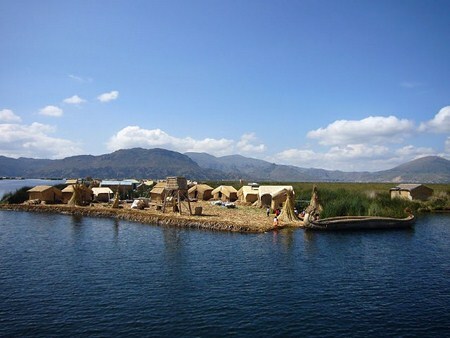 Uros people build temporary houses that float atop the water surface. The tide washes over their houses at times, so new layers of reed need to be laid every 2 weeks for better resistance. The larger and most visited islands appear to many travellers as floating souvenirs, and to some extent these indeed are tourist-traps, their inhabitants having succeed in living off tourism. However, most of the smaller islands remain isolated from visitors and still practice a traditional way of life that includes old-technique fishing, bird-trapping, and relying on totora for housing and transportation. 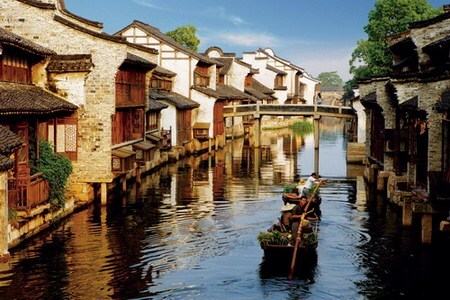 Wuzhen is one of China's ancient water towns, where waterways thread their way through the flagstone streets and alleys. Covering an area of 71.19 square kilometres (27.49 sq mi), Wuzhen has a total population is 60,000 of which 12,000 are permanent residents. Wuzhen displays its two-thousand-year history in its ancient stone bridges floating on mild water, its stone pathways between the mottled walls and its delicate wood carvings. Also, setting it apart from other towns, it gives a unique experience through its profound cultural background. 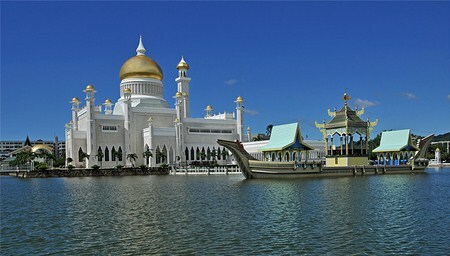 Kampong Ayer is an area of Brunei's capital city Bandar Seri Begawan that is situated after the Brunei Bay. 39,000 people live in the Water Village. This represents roughly ten percent of the nation's total population. 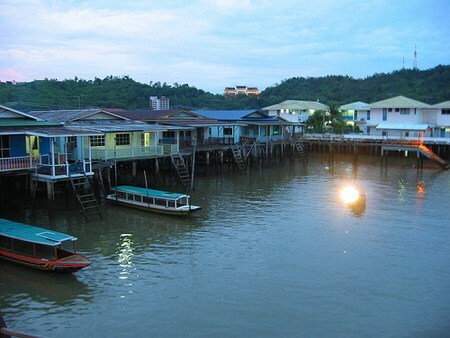 All of the Water Village buildings are constructed on stilts above the Brunei River. Built on stilts and linked by bridges the water village is also served by water taxis and has its own schools, hospitals, restaurants, shops, mosques and petrol station. From a distance, although many of the dwellings look neglected and run-down, they actually have all the modern amenities including air conditioning, satellite television, Internet access, plumbing, and electricity. People have lived in this village for over 1300 years and some of them keep potted plants and chickens. 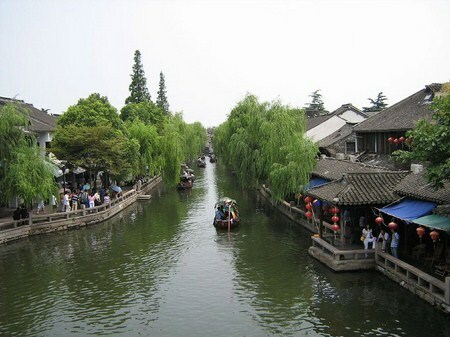 Zhouzhuang, one of the most famous water townships in China, is situated only 30 kilometers southeast of Suzhou City. It is a enchanting place. This village features crisscrossing water lanes, ancient bridges and buildings built on and over the rivers. In an area of half a square kilometer, 60 percent of the Zhouzhuang's structures were built during the Ming and Qing Dynasties. It is noted for its profound cultural background, the well preserved ancient residential houses, the elegant watery views and the strong local colored traditions and customs. 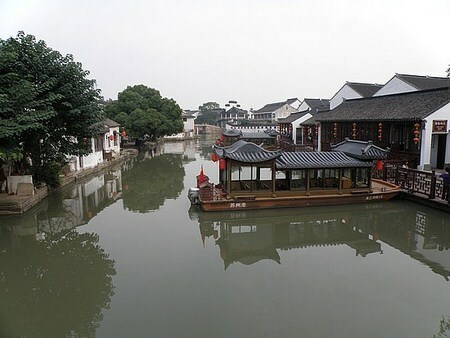 Zhouzhuang has been called the "Venice of the East". 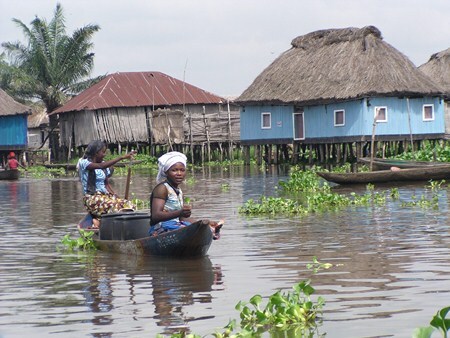 Ganvie, also known as the Venice of Africa, is a lake village in Benin, lying in Lake Nokou, near Cotonou. With a population of around 20,000 people, it is probably the largest lake village in Africa and as such is very popular with tourists. The village of Ganvie was established in the sixteenth or seventeenth centuries by the Tofinu people, when Dahomeyan warriors raided their countryside for captives to sell to the European slave traders. Originally based on farming, the village's main industries other than tourism are now fishing and fish farming. 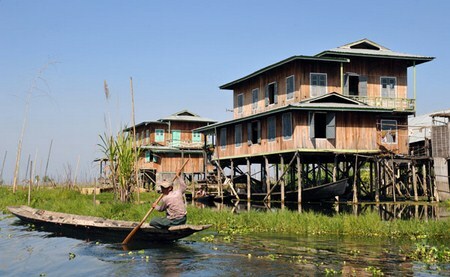 Kay Lar Ywa is water village located on Inle lake. Residents of this village are Intha people, which are members of a Tibet-Burman ethnic group. They support themselves through the tending of vegetable farms on floating gardens. Also, the Intha are known for their leg-rowing techniques. The lake weed of Inle is collected by the Intha people to create floating gardens, which are anchored to the lake bed with bamboo poles. These floating gardens, called kyun-hmaw,which are built-up from strips of water hyacinth and mud, dredged from the lake bed, which breaks down into a rich humus; it take 50 years to produce a layer 1 m thick. 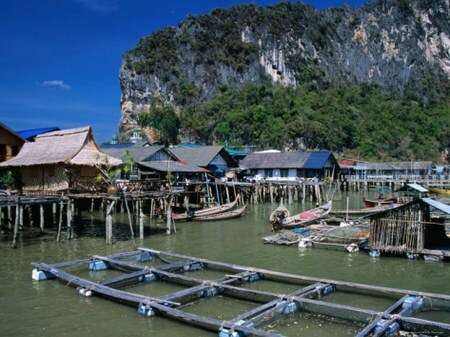 The floating allotments are anchored to the bottom with bamboo poles. Land is also reclaimed in this way, and parts of the lake have been reduced to a maze of canals around these plots. Most of the produce grown on the lake gardens is vegetables - mainly tomatoes and beans. 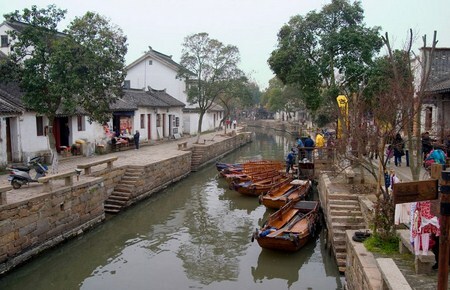 Tongli, alternately Tong-Li, is a town in Wujiang county, on the outskirts of Suzhou. It is known for a system of canals. 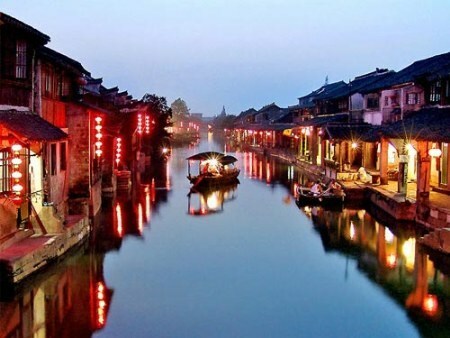 Tongli is half an hour away from Suzhou city. The place retains many of the features of an ancient Chinese town. 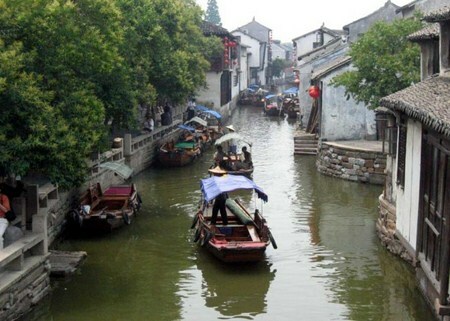 Tongli enjoys fame across China for its beautiful canals, historic bridges and opulent court yard homes. Tongli has 49 stone bridges and many gardens, temples. Because of the landscape, almost all of the buildings are constructed along the waterfront. The water also creates reflections of the town's arched roofs, lofty gables and stone bridges while green willows also line the banks can.